Valentine’s Day is around the corner, but we’re celebrating friendship and love throughout the month of February. Check out these fun, free, and family-friendly ideas to ensure your little lovebugs get in the spirit. Don’t forget to kick the celebration off with us at Friend Fest, February 9, from 1 to 4 pm. 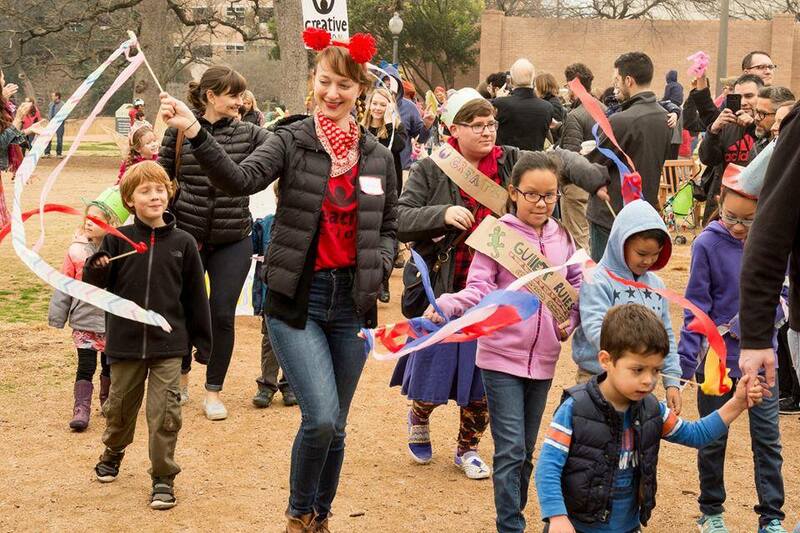 Our annual Valentine’s celebration and parade returns to Central Market North Lamar on February 9 with card making, cookie decorating and tons of friends, new and old, to enjoy dancing and parading with! Local group Seu Jacinto will help create a fun environment with their renditions of classic Brazilian folk music. The fun starts at 1 pm on February 9 and is free for the entire family! Bonus! You can also create an awesome, mess-free Friend Fest craft at home with your little love. Check out our spot on We Are Austin below for instructions. Throughout the ages, love has inspired many poems, plays, and works of art. Terra Toys continues that tradition with puppet performances of the most revered love poems and verses! Join them every half hour February 9, 2 – 4 pm to catch the vignettes. As part of a monthly history series, the Georgetown Library will be celebrating Valentine’s Day on by teaching young people about its history and about past Valentine’s traditions. 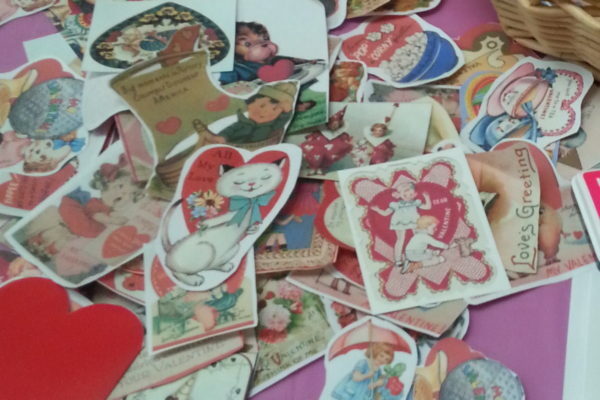 And because Valentine’s cards are perhaps the most celebrated tradition of them all, kids will also be invited to create their very own vintage Valentine’s card. Join the free history lesson on February 11, 10 am – 2 pm. Local storytelling staple, Ms. Staci Storytime, hosts a Valentine’s Day-themed storytime at Bookpeople featuring tunes and stories to get the tiny audience moving. The fun starts at 10:30 am on Valentine’s Day proper. Don’t forget the teens! If your kids are at an age where cookie decorating just isn’t for them, encourage them to join their peers to “celebrate” Anti-Valentine’s Day on February 18, from 1 – 2 pm at the Round Rock Library. The event features sweet treats, and pizza, and activities like Blind Date with a Book, Mad Libs, board games, and more. Teens are encouraged to wear black or purple. L-O-V-E pizza? Local pizza purveyor East Side Pies is so generous as to be dedicating the entire month of February to Creative Action. Throughout this love- and treat-packed month, one dollar of every delivery of East Side Pies pizza is donated directly to Creative Action programming. In the past, this fundraiser has contributed thousands of dollars to arts learning for local youth! So consider a pizza pie for the one you love this month, or for the kids when you head out on date night. 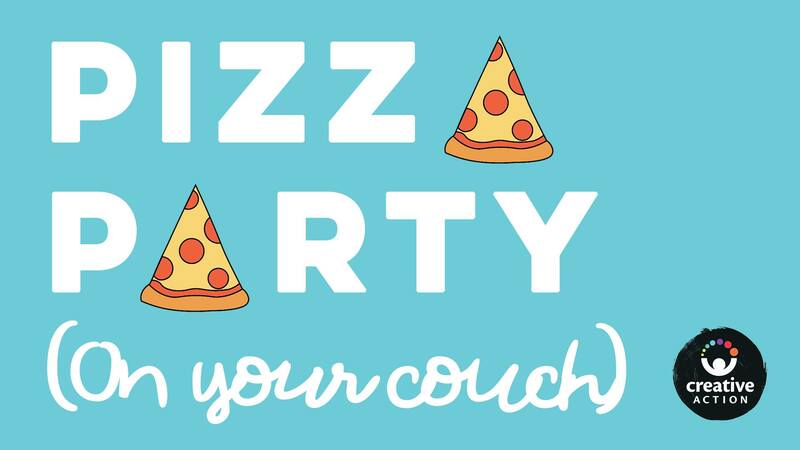 Even better: we’re hosting a pizza party you don’t even have to leave your couch to enjoy! On February 20, the Creative Action community will order pizza for dinner (and lunch) to support arts-integrated programming for Austin students. Order any hot, piping pizza from East Side Pies and have it delivered to participate. Looking for more ideas? Do512 Family, our Friend Fest sponsor, has more free and fun events and shows to check out with your lovebug this month. Head to their site to see more. Or join us at Friend Fest to chat with them in person! Did Changing Lives really change lives this year?